Our best Colombia Holiday is the ultimate adventure-goers honeymoon. Hike Páramo de Belmira, raft the Rio Verde through the jungle, and sail along the coast of Parque Tayrona. You’ll be received at Medellín’s José María Córdoba International Airport before a 45-minute drive into the stunning Medellin valley. There, you’ll be taken to your boutique hotel located in the heart of the hippest, cosmopolitan neighborhood: El Poblado. Welcome to Colombia! Enjoy the tropical city’s gastronomy scene in the safe and walkable area surrounding the hotel. 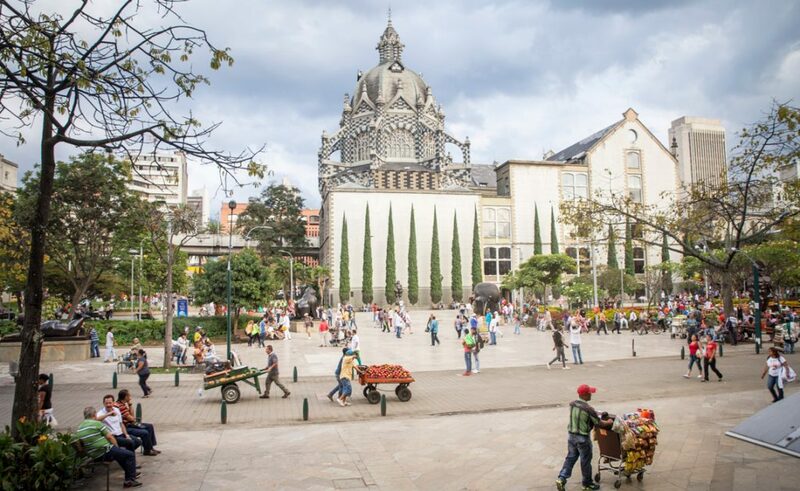 Your walking city tour of Medellín starts with a visit to the illustrious Jardin Botanical, (botanical garden). The garden thrives in a city that is already lush with diverse flora. Next, stroll through the iconic collection of bronze sculptures at Botero Plaza, and finally, board Medellin’s ultramodern Metro system, one of the best in the world. The network includes the world’s first gondola designed for public transport. Not only does the ‘MetroCable’ enable mass transportation over the mountainous terrain but it provides stunning views. 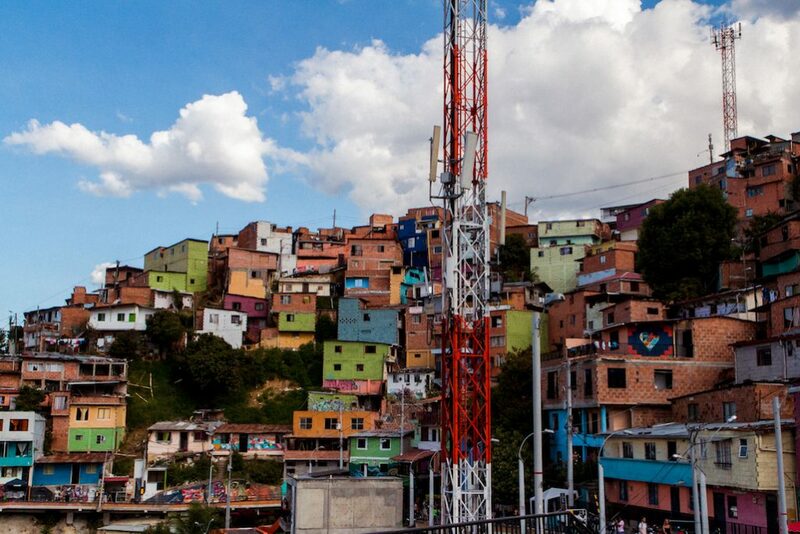 Take the Metro to San Javier where you will visit the Comuna 13 community art project. Once the most dangerous neighborhood in Medellin, it is experiencing a transformation. After the installation of a series of escalators, the community responded with a massive mural project which now covers many of the walls in the neighborhood. Meet your guide at your hotel after breakfast and drive 2 hours to Belmira, a Spanish- style town located at an altitude of 2,500 m. From the Belmira Cathedral and plaza, embark on your intermediate day hike and climb nearly 700 meters in elevation. Encounter rare and strange endemic plants that can only be found in Colombia’s unique ecosystem: Páramo. Páramo deserts appear in high alpine zones just above the forest line and below the permanent snowline, containing some of the fastest evolving plants and bird species in the world. The distinct plants here share an ability to absorb great amounts of water in the aridest of conditions, storing water in marshes that drain into groundwater supplying countless Andean rivers. For this reason, the Paramo is largely responsible for Colombia’s water supply. At the summit, enjoy a picnic lunch while you soak in the natural beauty of the mountain range. After your hike, drive two hours back to Medellín and return to your boutique hotel located in Poblado by 8 p.m.
Today, choose between two activities: a morning tandem paragliding flight over the city of Medellín or a walking tour of a traditional coffee farm. Ask us if you want to do both, we can customize your holiday! 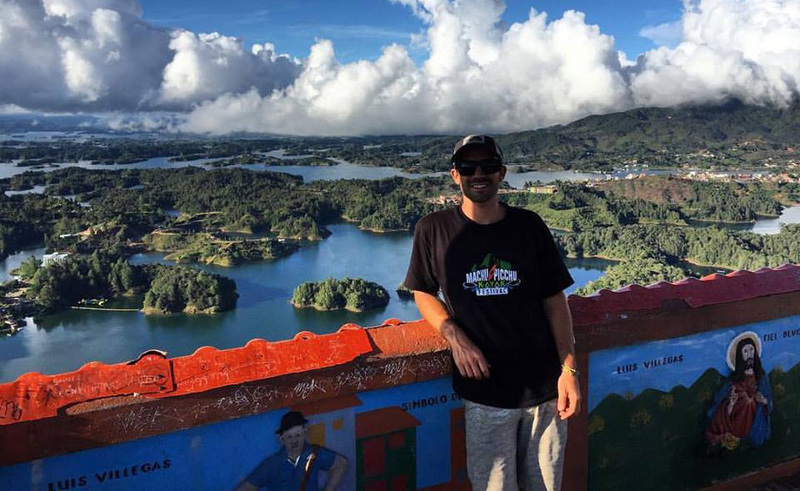 Your guide will meet you at your hotel at 9:00 a.m. to drive 20 minutes from Medellín to the small rural town of San Felix, which overlooks the entire Medellin Valley. Take a tandem paragliding flight over a waterfall and the city of Medellín with a highly experienced paragliding instructor. Depending on weather conditions, you’ll enjoy a 20-minute minimum flight and land within a designated area of Medellín. Enjoy a direct pick-up from the landing strip to return to your boutique hotel in Poblado by lunch. In the afternoon, enjoy free time to relax or explore Medellin with advice from your expert guides. After breakfast at your hotel, drive 1 1/2 hours to the historic town of Fredonia. Meet your guide in town to take a 10-minute drive to the coffee ‘Finca’, or farm. 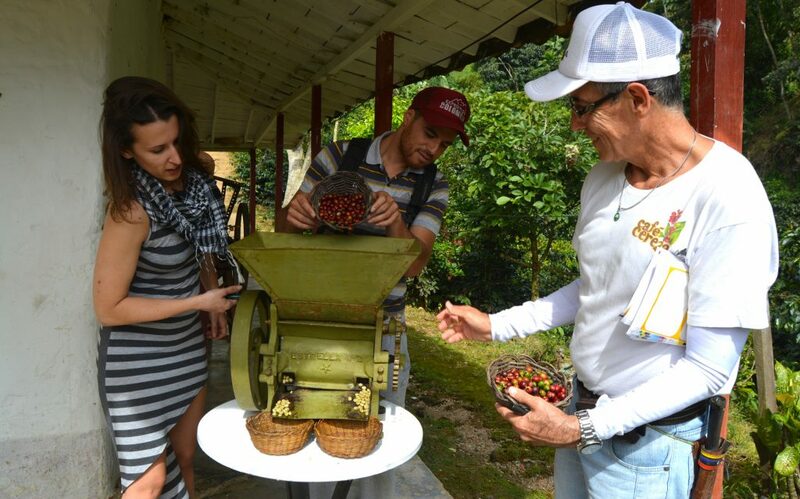 Upon arrival to the gorgeous Spanish-style estate, take on a walking tour with a coffee grower to see the process first-hand. 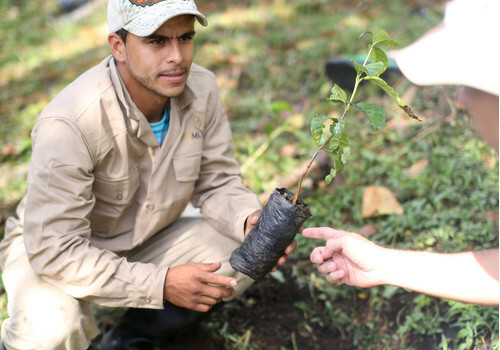 This interactive and fun tour gives you the chance to plant your own coffee tree and learn how coffee is linked to every Colombian family. Return to the traditional house for a delicious traditional lunch and a relaxing afternoon by your private swimming pool. 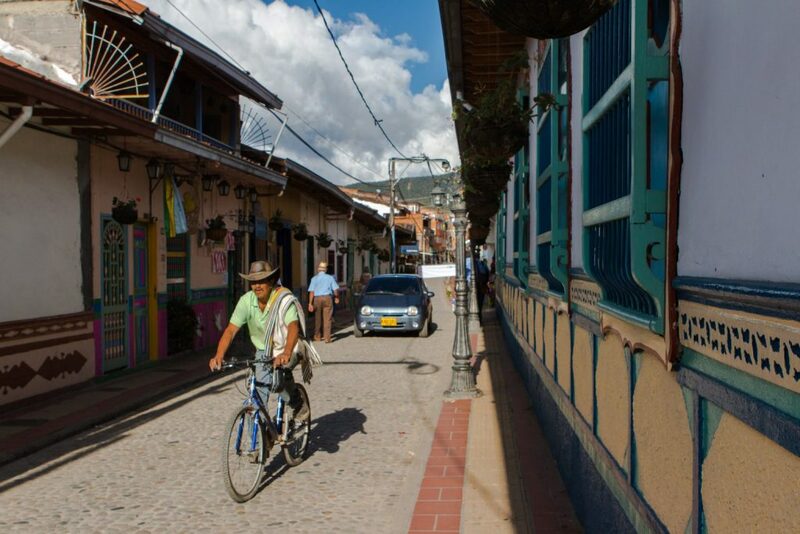 In the late afternoon, drive to Medellín and return to your hotel in El Poblado. After breakfast at your hotel, meet your raft guides and begin a two-hour drive to the small, agricultural-centered town of San Francisco. Witness local farmers bring their goods that include coffee and sugarcane into the town for trade and sale. From there load your gear onto pack mules with San Francisco’s champion mule-loader! Hike downhill towards the canyon of the Green River for two hours while the mules transport your gear. Stop for photos at vistas of the mountain’s watershed. At the river, refresh with a swim and learn about river safety in an orientation with your professional bilingual raft guides. Raft with your team on pristine waters surrounded by lush tropical jungle. Visit lagoons, secluded beaches, and narrow canyons, encountering tropical wildlife. Camp in sheltered hammocks and enjoy Colombian inspired meals cooked on the open campfire by the river. Sandals or adjustable tennis shoes (No flip flop sandals). Rise early for optimal bird watching opportunities. Wake up with a refreshing swim in the river while your guides prepare a bountiful breakfast with tropical fruits. Your second day of rafting is entirely on the world-famous Rio Samana. The intermediate whitewater is exciting yet manageable, as its major rapids flow into inviting, natural swimmable pools. The largest rapids are at the end of the journey, leading to a grand finale that the team will have learned to navigate the whitewater like experts. At the end of the second day, arrive at Puente Samaná, the only road access over the river. Return to Medellin and stay at a hotel in the hip El Pobaldo neighborhood. Enjoy a free day to explore the city on your own. Your guides will be happy to make recommendations and explain how to get around. If you’d like, go paragliding and soar over the Medellin valley. The bird’s eye view is stunning. Or, take the city’s innovative MetroCable gondolas to the Parque Arvi Nature Reserve for walking trails. In the morning, take a short flight to Santa Marta on the Caribbean coast. 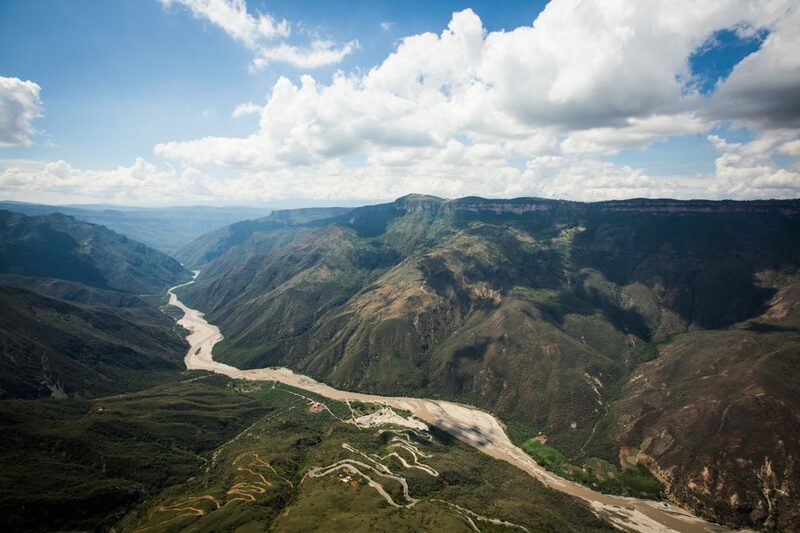 From here you will meet your guide to drive up the coast to the Rio Don Diego. Spend the afternoon floating the Don Diego River in kayaks or inner tubes. The warm river winds through the jungle and mountains. While floating through the trees, keep an eye out for howler monkeys and tropical bird-life as they flock to canopies hanging over the river banks. Arrive to a secluded beach that is only accessible from the river. Wander the beach or relax before taking a boat back upstream to Taironaka Nature reserve. At night dine on local specialties at the lodge before retiring to your peaceful cabanas nestled in the jungle. After breakfast at Taironaka, depart for Tayrona National Park. The park is home to the tallest coastal mountain range in the world, the Sierra Nevada de Santa Marta. These mountains rise out of the turquoise Caribbean Sea to form snow-capped peaks that are visible from the beach. Explore the park by foot on one of the many trails known by our professional guides. They will custom-suit the trek to your physical ability and craving for adventure. Relax on the beach and enjoy refreshments and fresh fish. Depart Santa Marta for Cartagena (4 hours). Enjoy a free afternoon to explore the colorful city before embarking on a sunset sail. Witness the impressive fortress walls that once defended Colombia’s gold from pirates and European superpowers as you cruise along the coast. Toast champagne to a trip well done. Return to port and stay in the historic 16th century colonial old town of Cartagena in a charming boutique hotel. At night admire the lively Cumbia street performers. The musicians and dancers exemplify the fusion of Spanish and African music styles with their traditional drums and colorful clothing. Explore the winding cobblestone streets and vibrant color pallet of the city is a photographer’s dream. Dine on Spanish-Afro-Caribbean fusion with fresh seafood and delicious empanadas. Depart from Cartagena International Airport. To go to Cienega Grande, take a one hour drive from Santa Marta and take a boat tour of Colombia’s largest lagoon environment. This place is a natural refuge and feeding grounds for migratory birds as mangrove ecosystems support different stages of fish and mollusk reproduction cycles. Species who call this place home include the Cariblanco monkey, the manatee, the coypu, bats, caimans, and iguanas. 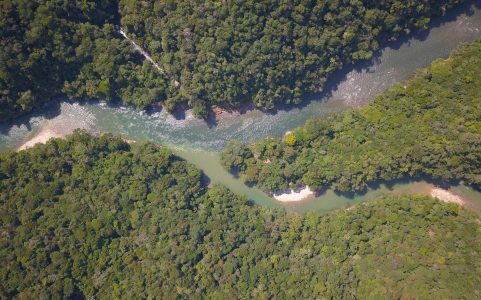 Cruising this environment by boat with a local knowledgeable naturalist will give you unique insight into one of Colombia’s most important environments for the conservation of the country’s natural life systems. Return in the evening for an overnight in Santa Marta at your boutique hotel. Get ready for serious, heart-raising physical activity! Rafting is a full body exercise that may require swimming in fast moving water. The more physically fit you are, the more you’ll enjoy these challenging, committing activities. Please contact us for customized trips & special offers. All payments by credit cards are subject to a 4 % extra charge. Read our Booking Policy before you book! Thanks for choosing Expedition Colombia! During your city visits in Medellín and Santa Marta, you will stay in comfortable and contemporary hotels located in cultural centers with the best selection of traditional and contemporary cuisine. Gain a unique perspective of the country in a way few can, by raft. The biodiversity of the jungle is matched only by the Amazon. 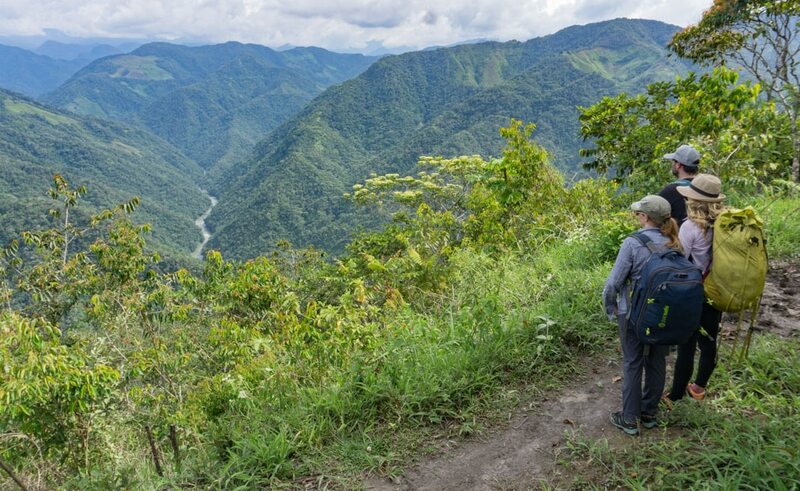 A true Colombian wilderness adventure. Expedition Colombia is a collective of dedicated guides, conservationists and professional athletes. We are passionate about the use of adventure tourism as a tool to protect Colombia’s cultural and natural treasures. Over years of exploration we have discovered Colombia’s unlimited potential for multi-sport experiences and have created a unique line-up of expeditions to help you discover the hidden paradises that exist here. 2017. All rights reserved. Expedition Colombia	| Developed by: Viviana Vélez.